To all those who signed up by voting on the UNO Real Hottest Girls of 2008, you should have received your confirmation from UNO by now. If not, please check your spam/bulk folder. Yahoo and Gmail have sometimes weird behavior treating legitimate emails as spam. What should you look for? The email should come from UNO telling that your name is already on the guest list. It should bear the high resolution photo like the one below. Please come in your "Sin City" outfit. Yes, it is true. 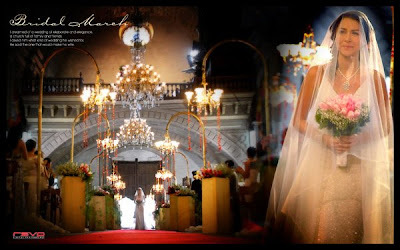 These are Marian River and Dingdong Dantes Wedding Photos. Not in real life but in the teleserye Marimar. I haven't personally watched this, but Marian Rivera is outstanding in these photos. Dingdong Dantes is indeed a very lucky man. Not only did he had the chance to embrace the very beautiful Marian but even kissed her. Wish I could be Sergio, hehe. 3 more Cristine Reyes photos inside. Last August 31, we posted an article about Marian-Dingdong Birthday party calling for cappers to watch the TV premiere of the said party. Unfortunately, we got nothing, hehe. But luckily, after more than a week, we stumble at some of the very interesting Marian Rivera and Dingdong Dantes Birthday Photos. How interesting? According to our naked eye, there are some Marian Rivera upskirts. Some random photos we scouted over the net. Claudine Barreto Paparazzi Photos. Very flawless indeed. You wouldn't even think that Claudine Barreto is already a mom, but a hot mom indeed. Sorry for posting this late. 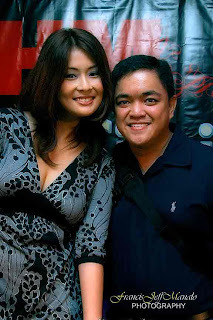 Ehra Madrigal Autograph Signing Photos last July 2008 sent again by James Ty III. According to him, 'better late than never'. I just noticed, is Ehra Madrigal getting some weight? Even in Nuts Entertainment, she looks a lot bulkier than before. Ehra, maybe its about time to keep that diet list, hehe. Again, thanks James. Keep 'em sending photos. 3 more Ehra Madrigal Autograph Signing photos inside. Betty La Fea star Ms. Bea Alonzo was reported to have slipped off in one of the Fashion Show of Randy Ortiz. 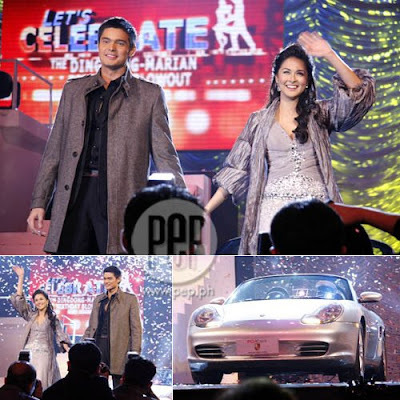 Many speculated that it was scripted since Betty La Fea will premiere tomorrow night (Monday). But it was not only Bea Alonzo who had her slipping moment that night. 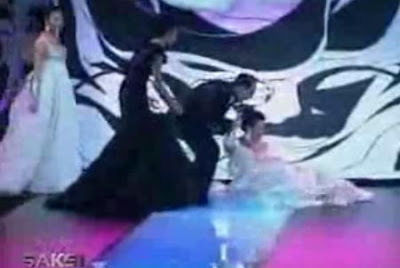 Even experienced model like Tweety De Leon also slipped on the stage. Another model even fell down to her back but later on posed while lying down to cover the act. Seems like that the stage was too slippery for stilleto and high heel shoes. Check the Bea Alonzo 'Nadulas' Video inside. I'm sure my friends ACV and Sherano will be grateful with this post. Every time they visit the site, they're only looking for one celebrity. And that's no other than Ehra Madrigal. This set of photos shows Ehra Madrigal in her Glamorous moment. Be sure not to miss them all. 8 more Ehra Madrigal Glamorous Photos inside. Many thanks for Francis Jeff and James Ty II for sending these very fresh Iwa Moto Autograph Signing Photos last September 5, 2008 at the Robinsons Galleria. The first 9 photos are cared of Francis Jeff - http://franzjef.multiply.com/ and the last 4 photos were submitted by James Ty III. You guys rock! Keep sending photos of celebrities to webmaster[at]pinaycelebrities.com and we'll surely give the proper credit to you and link to your site or blog.